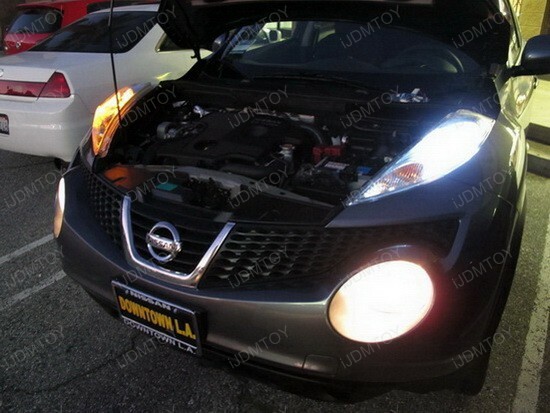 The 2012 Nissan Juke Crossover makes the difference between the real future and the science fiction future a little more blurry, but the LED parking lights give this crossover a touch of whiz-bang styling. It doesn’t have many straight lines or pretty viewing angles, but is a great car that looks awesome with LED position lights. 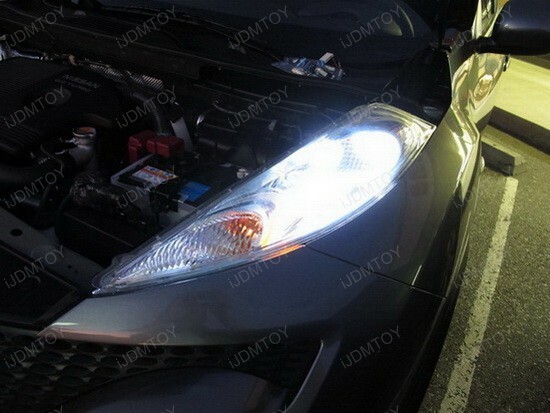 If this is not entirely clear, take a look at the pictures and see the difference with LED parking lights installed – what is certain is that the Juke has some funky style that matches perfectly with LED technology. I guess you ask yourself: "What is this LED bulb that can light up such a big parking light housing?" 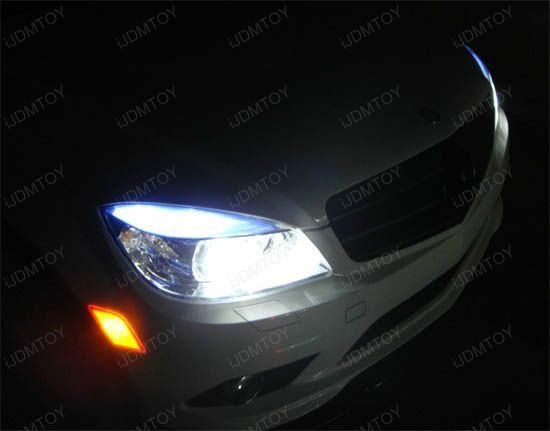 Well, this is the Super bright 360-degree 9-SMD T10 LED bulb from iJDMTOY and what’s more, from far away it looks just like the HID headlights. 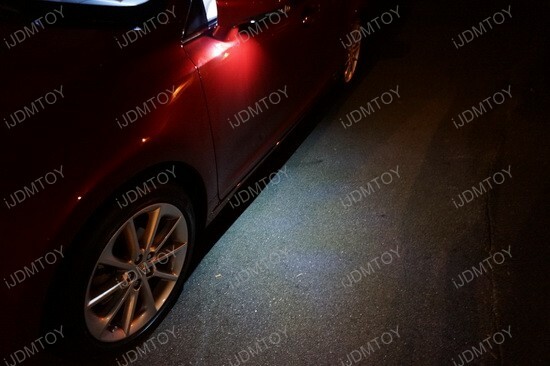 The featured HyperFlux 9-SMD 5050 T10 Super Bright LED bulbs can be used for parking lights, sidemarker lights, license plate lights or side door lights on various cars. 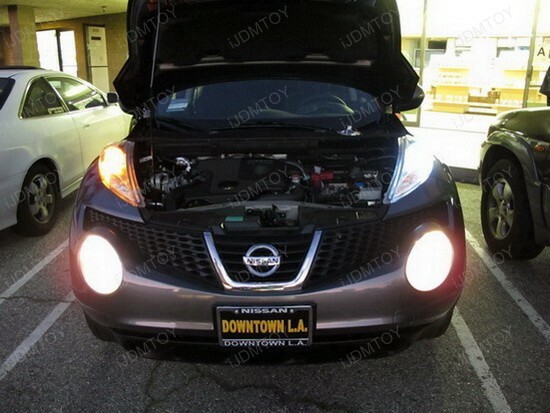 It fits the 2012 Nissan Juke perfectly, but since this T10 LED bulb is almost twice the length of a stock 168 tungsten bulb, you must make sure it can fit into the housing before installing. Anyway, these bulbs are super easy to install, with no modification needed. 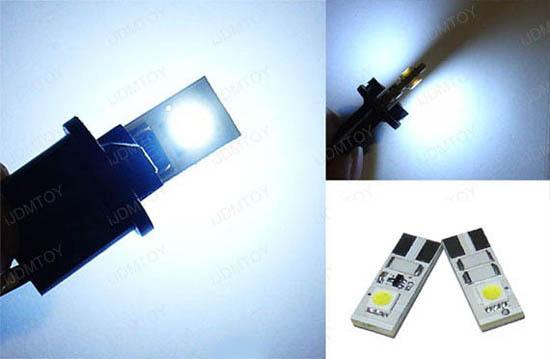 All you have to do is to replace the stock OEM yellowish tungsten lamp with the new LED HyperFlux T10 bulb and if there is no lighting after inserting it into socket, just switch the bulb around to change terminal oppositely. That’s all – now you can enjoy the bright and stylish LED parking lights. 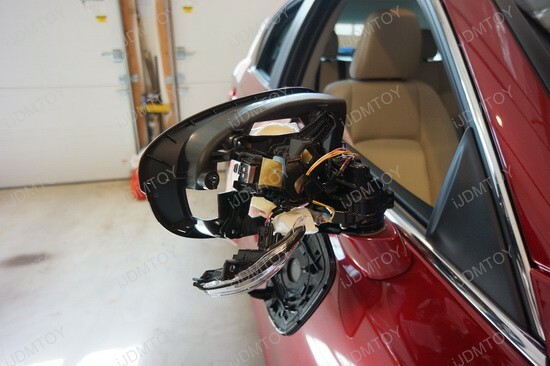 This lovely 2012 Nissan Juke is a great platform that has room for cool tweaks, and LED parking lights are just a small improvement that makes the "exoskeleton" even more distinctive. Installing LED position lights is a great way to get rid of any stock look for good – besides the beautiful and cooler color, LED bulbs also have longer lasting than stock tungsten bulbs and consumes less power as well. 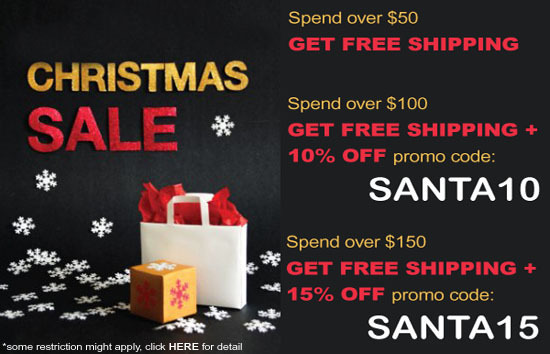 Go ahead and check out the iJDMTOY store! 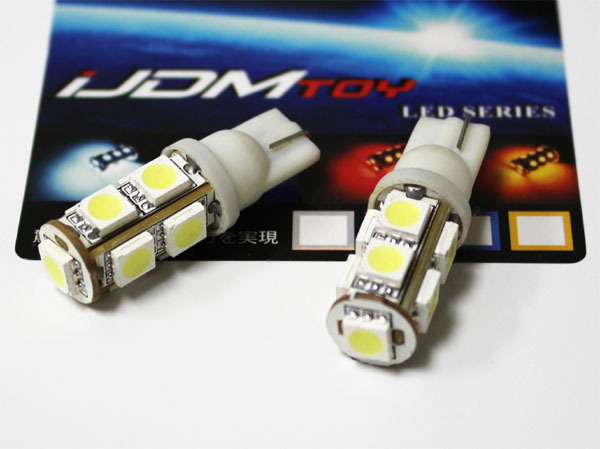 This package has error free LED car bulbs with 2 pieces of high power 5050 SMD chips. These LED lights are great for license plate lights, parking lights, or sidemarker lights without triggering errors on the dashboard. The have built-in load resistors and come in xenon white and ultra blue. 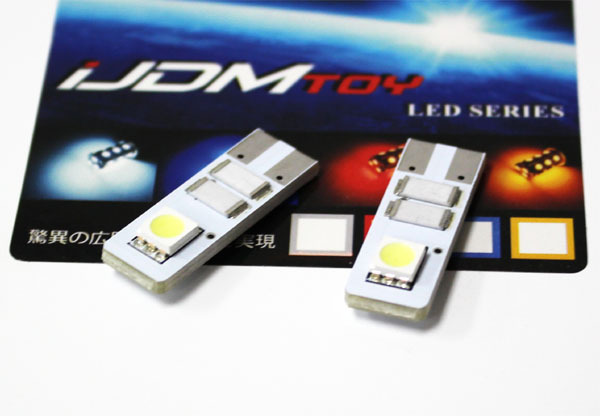 Without load resisters, many LED lights for license plate, etc. will trigger errors on many European vehicles with onboard computers. This works well to replace car bulbs with sizes 168, 194, 2825, 2821 or W5W. In addition, these bulbs are on sale for 28% off for a limited time only. Get an upgrade to LED and experience brighter light and better color. 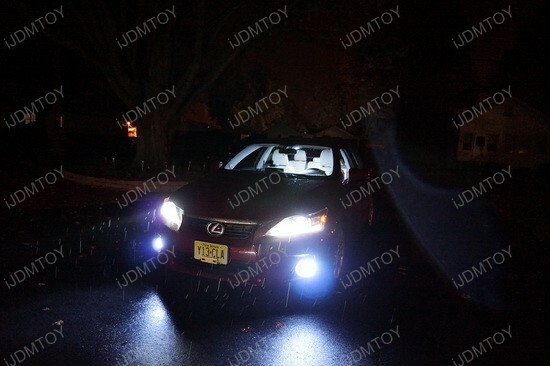 Recently www.iJDMTOY.com installed for a customer LED car lights for his 2004 Infiniti G35. 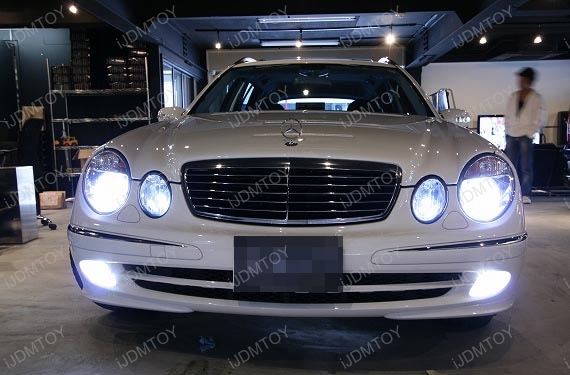 Included are LED sidemarker lights, LED parking lights (side strip light), LED interior map lights and LED side door lights, and the LED backup reverse lights and LED license plate lights. LED lights give a super bright cool street look and feel, much better than the dull and yellowish stock light bulbs in the car. We have some pictures from after the installation, take a look! 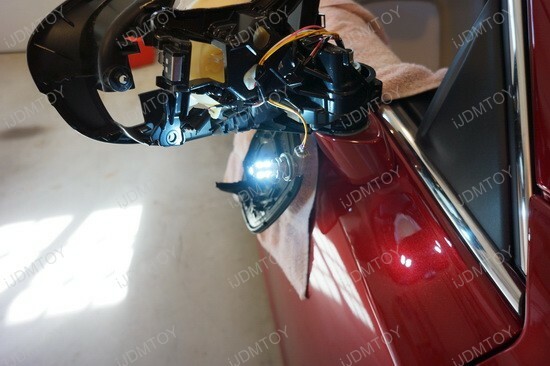 For more pictures, you can visit iJDMTOY Gallery For LED and HID Lighting.